From administrator account on Vendors page. Who all can create vendor? What privileges does a Administrator has? 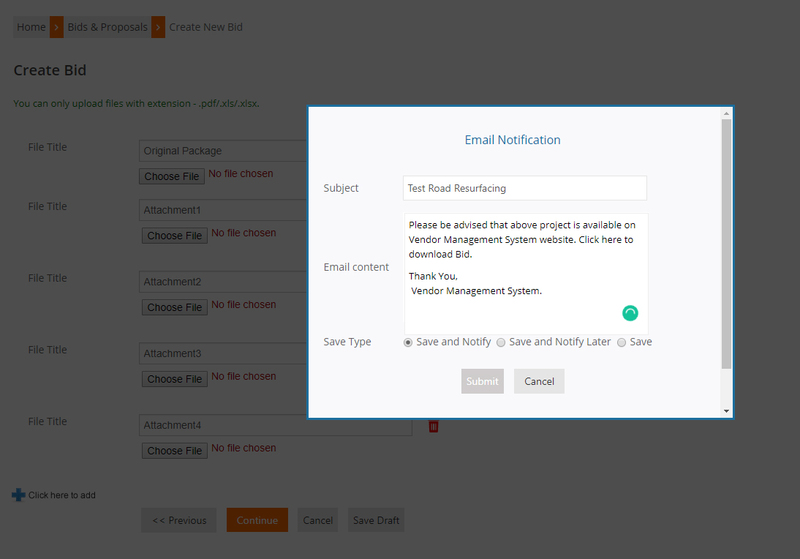 Access to edit setting of the categories,status, type, email templates. Who can create the bids? Only administrator has the right to create new bids and assign the bids to the vendor. What are the user roles available in the system? What privileges does a vendor has? How to create new bid ? To create new bid user has to login from administrator account. Click on “Add new +” present on Home page and create new bid page will get open. 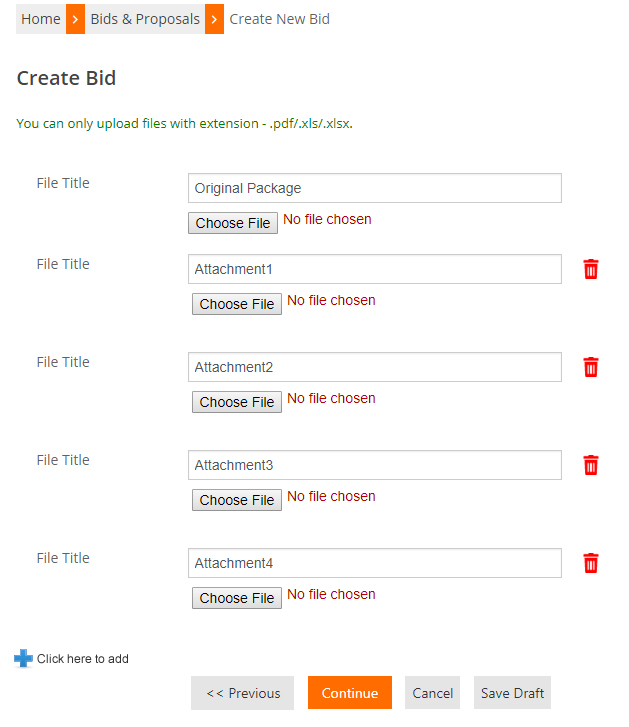 Now fill in all the details of bid creation , attach some documents if required and click on continue. A pop-up will appear asking to save and notify or just save or save and notify later. 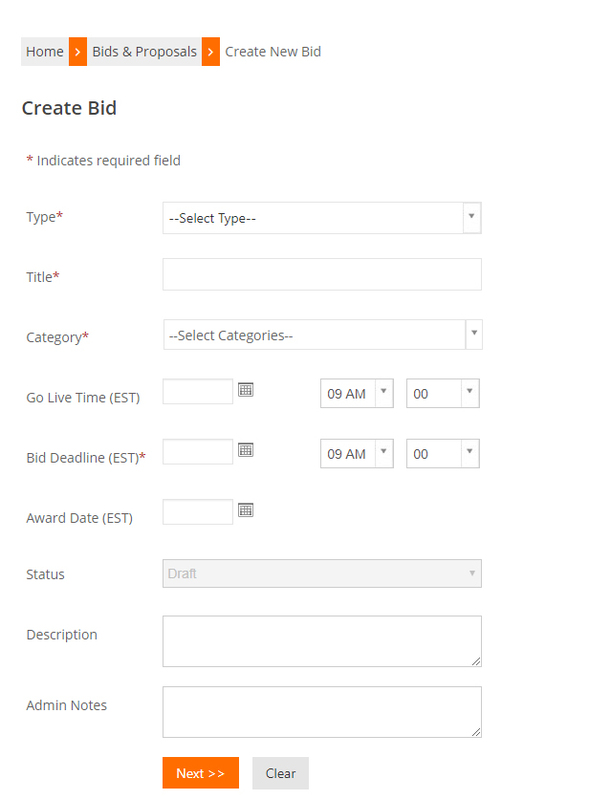 Select the desired option and click on the save button the bid will get created successfully. You will get the successful message that bid is created and can see the bid on the hoe page if the bid is in open status. Can see the bid on home page with open status.